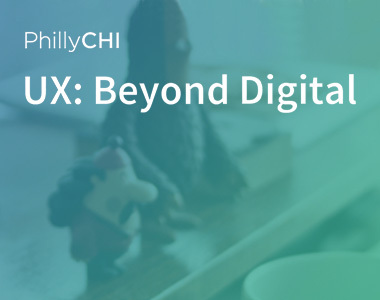 Bresslergroup partnered with PhillyCHI and NextFab to present UX: Beyond Digital, a discussion intended to expand Philadelphia’s ongoing dialogue about UX. The event was held at NextFab on Friday, June 16, from 6:00 to 8:30 p.m.
Bresslergroup has developed an integrated industrial and interaction design process to address the blurring of the line between physical and digital. As part of our product development process, integrated teams consider digital and physical interactions together.